A peculiar ungrouped-achondrite, NWA 7835 contains inclusions which are riddled with what appear to be streams of air bubbles. These streams occur in numerous patterns: parallel, helix, ribbon, single, bifurcating, and enlarging. 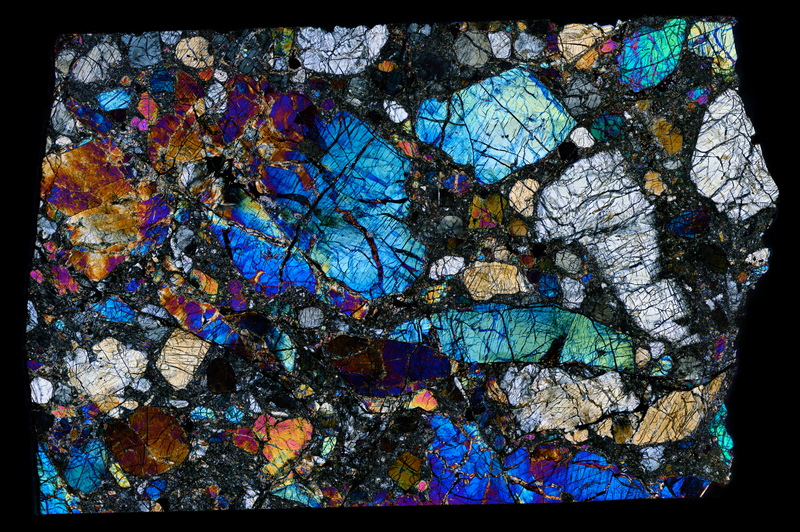 Look closely, because all of these patterns are visible in this thin section. There are additional pictures of NWA 7835 which zoom in on the microscopic bubbles — taken by John Kashuba and view-able at Meteorite Times.